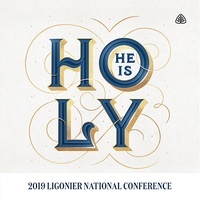 On March 14–16, Ligonier Ministries will host its thirty-second annual National Conference. Our founder, R.C. Sproul, was best known for his teaching on the holiness of God, and he played a role in shaping the conference. Joel Beeke, Ligon Duncan, Sinclair Ferguson, W. Robert Godfrey, Steven Lawson, José “Pepe” Mendoza, Sugel Michelén, Albert Mohler, Stephen Nichols, Miguel Núñez, Burk Parsons, Michael Reeves, and Derek Thomas will consider the holiness of God, His glorious attributes, and the implications of God’s holiness for our own lives.